1,995 minors were separated from 1,940 adults at the border from April 19-May 31, according to DHS figures. Under a new "zero tolerance" policy, officials are now referring all cases of illegal entry for criminal prosecution. U.S. protocol prohibits detaining children with their parents because the children are not charged with a crime and the parents are. About 2,000 children have been separated from their families at the border over a six-week period during a crackdown on illegal entries, according to U.S. Department of Homeland Security figures obtained by The Associated Press Friday. The figures show that 1,995 minors were separated from 1,940 adults from April 19 through May 31. The separations were not broken down by age, and included separations for illegal entry, immigration violations, or possible criminal conduct by the adult. The policy has been widely criticized by advocates as inhumane, and medical groups say the additional stress of a separation can damage children’s physical and mental health, NBC News reported. A battle in Congress is brewing in part over the issue. 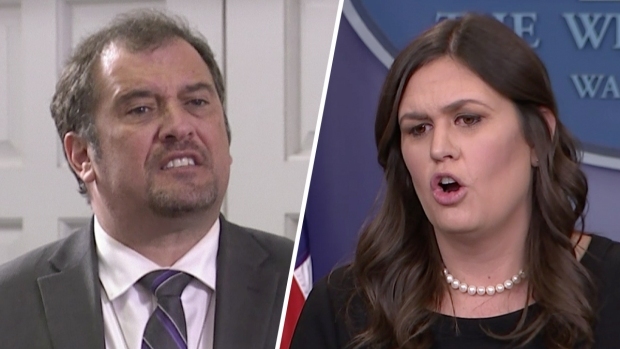 A contentious White House press briefing broke out between press secretary Sarah Huckabee Sanders and the White House press corp on Thursday, after reporters pressed Sanders on the Trump administration's policy to separate immigrant families at the border. On Thursday, Sessions cited the Bible in defending his policy, arguing the recent criticisms were not "fair or logical and some are contrary to law." The new figures are for people who tried to enter the U.S. between official border crossings. Asylum seekers who go directly to official crossings are not separated from their families, except in specific circumstances including if officials can't confirm the relationship between the minor and adults, safety of the children, or if the adult is being prosecuted. There were an additional 35 minors separated at ports of entry in May through June 6. There were more than 50 at the official crossings in April and March each, according to the figures.